After 14 years, meldodic rockers Jeremiah Freed are back with one brand new EP. Melodic.net finally got the chance to talk to the band about the hiatus, history and the possibility of "Companion, part II". Here is what they had to say. Ladies and Gents, Jeremiah Freed! Welcome to melodic.net, how are you? We are doing fantastic! How are you doing? Guys, it’s so good to have you back. You know I have to ask: What took you so long to get back together? What made you decide that now was the right time? It’s good to be back! The idea to get back together was always something we thought about, but the timing was never quite right until recently. We don’t have an exciting breakup story; we just sort of unceremoniously stopped being a band. Our last Jeremiah Freed concert was a reunion show in Portland, Maine in 2007. A couple of years ago, our bassist Matt Cosby started reaching out to each band member to see if we were interested in getting another show together. Joe and Nick actually sent flash drives with new song ideas through the mail over the years. Since we had already done the whole “reunion show” thing in 2007, the idea of doing something like that again bored us. Eventually, we agreed that it would be best to reform with Matt’s brother Andy Cosby on drums and record new music. Since it had been 14 years since we wrote and recorded new music, this was a far more exciting process for us than just playing the old songs live. What have you been up to since your last album, 14 years ago? Do you think that this break was necessary for the band members, in order to get your mojo back? We have all been busy over the years! Nick Goodale (guitarist) moved to Nashville, and for a while was playing over 200 dates a year in various bands. Joe Smith (vocals) got his law degree, married and has a son, and works as an attorney. Jake Roche (guitarist) released a lot of original solo music, married, works for an environmental non-profit, and lives on his wife’s family vegetable farm. Matt Cosby (bass) is a well-known freelance photographer; with clients including Rolling Stone Magazine, The New York Times, and Maine Magazine. Andy Cosby (drummer) has been in many musical outfits in Maine over the years, and is a full-time truck driver. The break gave us time to grow as people and musicians. Our sound is more mature, and our individual life experiences are so varied and interesting. We bring all of that to the table, and we have this amazing history and a musical vehicle to communicate through. That’s what makes Jeremiah Freed so special to us. The band is an outlet for all of us to be creative, and we have an audience that still supports us after all of these years. Since we haven’t had a chance to talk to you before, what is the story behind the band Jeremiah Freed? How did you guys get together and I when did you realize you could make magic together? Is there a story behind the name? Basically we all grew up in the small town of York, Maine. We started what would become Jeremiah Freed in the summer between 8th grade and freshman year of high school. Nick picked up a book at his house, turned to a page that had the words Jeremiah Freed, thought it sounded cool, and that was how we picked our band name. Our senior year, we won a big contest in Maine for “Best Young Band”, and the next day we were contacted by a management company that signed us about a month later. They told our parents, “If these guys don’t go to college, we will have them signed to a major label within 2 years.” That’s probably when we realized we had something bigger on our hands than just being popular at our own high school. The management company, Ripcord Records, kept their promise. Less than 2 years later, we put out an independent, self-titled release. That album had the song “Again” on it, and that song became incredibly popular on the Portland, Maine alternative radio station WCYY. 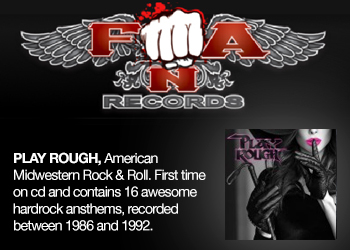 We sold a couple thousand CDs out of 8 stores in Maine, which got the attention of the major labels. 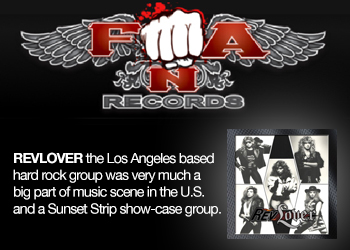 In fall of 2001, we signed to Universal Republic Records. We released an updated self-titled album with Universal. 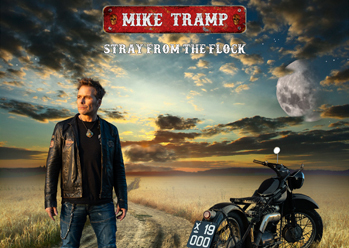 That album was recorded with a producer named Beau Hill (Ratt, Warrant) and mixed by Michael Barbeiro (Guns and Roses, Metallica, Soundgarden). Jeremiah Freed toured the country, and we were lucky enough to open for bands ranging from Lynyrd Skynyrd to The Strokes. Our label didn’t truly understand or support the band, and eventually we fought to be released from our record deal. After being dropped from Universal, we recorded and independently released an EP called Times Don’t Change and a full-length album called Slowburn. We toured in support of those records, and had some success on our own, but the music industry had changed by 2003 and we were sort of jaded and defeated by then. In early 2004, everyone but Jake moved to California. The band regrouped and played some awesome shows out west, but eventually things ended uneventfully. Our band wrote the songs on the debut album when we were 16-19 years old! We didn’t have much perspective outside of life in a small town in Maine back then. We are all in our early to mid 30s now. Musically, each of us have improved and honed our craft. The new music is more mature in the sense that we have 14 more years worth of living under our belts now. For example, when you listen to a song like “Heartbreak Atlanta”, it has got this subtle twangy sound going on that Nick brought from his time in Nashville. We could have never brought that influence to the table when we were 19 years old. The debut album still holds up to the test of time, and the new music is building on the legacy of what this band started as teenagers. I love the bluesy guitar driven rock you play, especially on your debut. Who would you say are your main influences? Growing up it was mostly the classic rock catalog. Jimi Hendrix, Stevie Ray Vaughn, Lynyrd Skynyrd, Janis Joplin, Led Zeppelin, The Rolling Stones, The Beatles, Neil Young, The Who, Tom Petty, Creedence, Pink Floyd, Fleetwood Mac, etc. Our parents exposed us to the classic rock greats, and also to a lot of old soul and R&B artists like The Box Tops, The Supremes, The Temptations, The Four Tops, The Jackson 5, and Aretha Franklin. Joe’s father used to play the “oldies”. We covered some of those songs early on. “The Letter” by the Box Tops and “Dock of the Bay” by Otis Reading frequented our set lists while we were still in high school. We grew up in the 90s, and we loved Pearl Jam, Soundgarden, Nirvana, Smashing Pumpkins, Rage Against the Machine, and a lot of other grunge bands. Newer bands and artists that we love include Allison Krauss, Kings of Leon, The White Stripes, Sturgill Simpson, Nathaniel Rateliff, and Delta Spirit. Your new EP is Companion Part I, which would suggest that more parts are coming, is that correct? There will be a Companion Part II. We actually recorded what will be Companion all at once. The band recorded instrumentation at Prime Studio in Nashville, Tennessee with engineer Daniel Dennis, and Joe recorded vocals and the album was mixed/mastered at The Halo Studio with Jonathan Wyman in Westbrook, Maine. We need to put the finishing touches on the second half of the record, and we look forward to finishing Companion and getting to work on more original music. Can you tell us about the inspiration for some of the songs on here? For example, what is the story behind “Heartbreak Atlanta” (my favorite song off the EP)? That song is a lot of people’s favorites! Nick wrote the guitar part and sent it to Joe on a flash drive, back around 2009 or so. Joe wrote the lyrics, which seem to focus on noticing the passing of time and how that affects you, your relationships, and how your inner voice guides the perception of the past. Are there plans in the works for a full-length album as well? We plan to release Companion Part I and Part II as a full-length vinyl once everything is finished. Then we plan to get to work on new original music, some of which we are already working on. What does your creative process look like? Do you write songs together or do you work on your own and meet up once you really have something? For Companion, most of the songs are ideas that have been kicking around for years but never saw the light of day. Nick had a lot of the songs in working order, Joe had some complete ideas, and we all did our part to “finish” the ideas. This is our method mostly based on geography, since we don’t all live close together. For the next album, we plan to get together and each of us will bring song ideas to the table and write as a group like we did when we were younger. What are you plans for the near future? A lot of touring coming up? We played one big sold-out show in Portland, Maine in August. It was an incredible experience! The crowd was singing along to old and new music, and we were truly humbled and honored to be a part of that night. For now, we actually don’t have any other shows on the books. That’s not to say we won’t be playing more, because we do plan to do more performances. We are trying to get an idea of what that will look like. It’s tough since Nick is in Nashville, and the rest of us are in Maine. We all work full-time jobs, and the band is a fun thing we still use as a vehicle to have fun and be creative. It seems to me that it’s a lot easier to release album as independent artists these days. Are you happy staying independent or are you still striving for a major deal and that “big break”? We definitely love being independent. It gives us complete control over what Jeremiah Freed is, and what we choose to do or not do. It has not been our intention to seek out another major label deal, because that wouldn’t necessarily fit into our lives right now. The band is happy to write, record, and release our own music and play shows that we want to play on our own terms. Let’s say I want to start a band. What would your best advice be? Is there something you wish someone would have told you when you started out? Practice, practice, practice. Play for fun and because you love music. Never stop learning. Don’t expect success. Pay attention to accounting and how your business is set up. Be kind to everyone from the doorman at the club to the head of the label. Don’t be stubborn or closed-minded to new ideas. Learn from musicians that are better than you. Create from an authentic and genuine place. Tell us something about yourselves that not many people know. In high school, we used to cover “Jump Around” by House of Pain. Our first band name was Side Effect. Name any artist or band you would love to bring on tour. We would love for Pearl Jam to bring us on tour. Guitars, basses, drums, microphones, keyboards, and effects pedals. Which band or artist is the coolest one(s) that you have already been on tour with? Speaking of tours – tell us the craziest thing that has happened to you. No Barres hold now! Our van, trailer, all of our gear and most of our belongings were stolen in Philadelphia while on tour in 2002. We were set to play at Gillette Stadium in Foxboro, MA two days later. We had to take a train back to Boston and buy about $30,000 worth of new gear in order to play the show. The lineup at that Gillette show was for the WBCN River Rave, and other artists included Tenacious D, The Strokes, Jimmy Eat World, Public Enemy, and Outkast. Needless to say, that was an incredibly strange stretch of days on that tour. Do you have a favorite place to gig? Or perhaps a place you always dreamt of playing, but haven’t yet? Our favorite place to play is in our home state of Maine. We had a lot of crazy shows in Dayton, Ohio. We love playing in Boston, MA. We have always dreamed of playing at Red Rocks. If I get caught speeding while listening to your music, will you help me pay the fines? Only if you capture the moment on video and post it on our FB page! Name a song you sing in the shower. “The Rainbow Connection” by Kermit the Frog. “Someone Like You” by Adele. From time to time we are told that rock ‘n’ roll is dead. What are your opinions about that? People have been saying that since the 60s. It’s just a phrase people use when they hear new music that they don’t understand or approve of. The essence of rock and roll will live forever. There are middle school kids just discovering Jimi Hendrix, just picking up the electric guitar. Any chance of catching you guys live in Sweden any time soon? Sign us up! Wait; are we big over there? Thanks so much guys, for doing this, please don’t hold out on us for 14 years until the next record, ok? That’s fair enough. Hopefully the next one will be released in less than 14 months, not years. Thank you so much for talking with us!